I've been feeling very grateful during this week of sunshine for the area of London in which we live. We are located within an easy journey to central London while living on the doorstep of Richmond Park and the township of Richmond which is where Brad Pitt and Angelina Jolie are currently hanging out (when they're not in their private jet). One of my favourite things to do in Richmond is to wander along the path that runs beside the River Thames. Austin took this photo during the weekend on his phone while walking under a bridge beside the river. 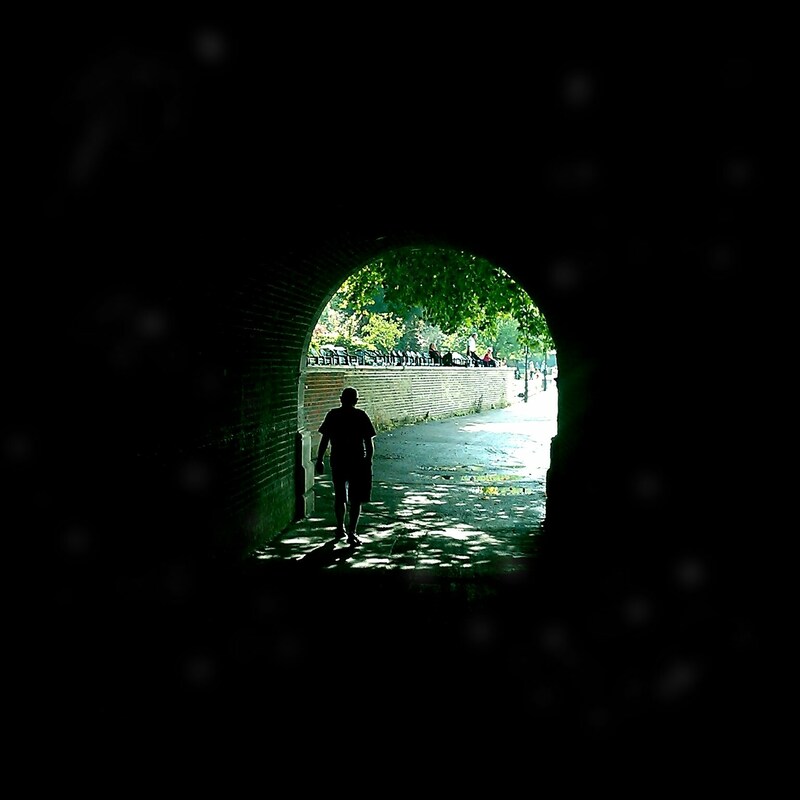 I love the contrast from darkness to light, the dappled light on the pavement and the silhouette of the man walking. It made me go WOW and I've spent a long time just looking at it. I love it that the light at the end of the tunnel is so bright and welcoming. Well, just a little something I thought I'd share with you. Awesome photo! A sermon in it for sure!